It may not end as you envisioned it. What good are you to your family injured or unemployed? So what do you do? Take it to HR! Guys, the answer is easier than you think, and that is going to your Human Resources Department (HR), especially if your boss refuses to act. The difficult part is the vetting process of your actions, meaning anytime you bring a problem to HR or your boss there is an uncomfortable stage initially: the investigation. Be prepared to accept that HR has to check out your story. This can be frustrating for a moment but it is a necessary evil. While you are waiting for the process to unfold here are the benefits when you take this action. Many times we are so afraid to go to HR because of fear, and sometimes our ego. We don't want to admit that we are scared, and we don't want to be looked at as weak for reaching out to higher sources. Nobody wants to be labeled a snitch but we don't live under "hood rules" in office settings. I want you all to forget about what people think, especially at work. These people are not your family. They don't carry the burden and stress home like you do with yours. I'm writing this because I've done it the wrong way and have also been able to turn it around and do it the right way. Now as a supervisor at work and a CEO of a business, I've been on the forefront of preventative measures in regards to hostile work environments. HR is one of my strongest resources when office conflicts do not subside with my actions alone. Don't handle this by yourself, and don't let your ego or pride rule the day. Get it off your chest and on to your bosses back asap. I've seen it work. Yes, there are some cases where there is retaliation, but many victims of this are now millionaires. 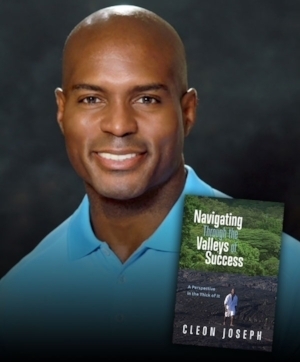 Click on photo to Purchase CJ's new book on Amazon!